We know coffee is the today’s famous simple drink.A lot of people drinks coffee as a favourite drink. It is really very good for health.It gives feeling fresh after huge tiredness. If any man didn’t want to do any work he must have to drink coffee. It motivates us to make work faster. As well as this coffee didn’t have any side effects. We must have to drink it in the morning as well as when we feel sleepy or tired. It stimulates to our brain.I am writing these facts after using this product . It inspires us to run in any activity. I think if any guest came to our home we must have to give him this drink. In any program, travelling by train or bus we must have to drink this coffee. Another thing about it is making coffee is a very easy method there requires only 5 to 7 minutes. No more ingredients, no any more appliances everything is in an easy way. It works as an appetizer also. We didn’t feel hungry for so much time. NOTE : WE ARE NOT USING COFFEE BOTTLE AS HUMID ATMOSPHERE MAKES IT WET & WE CANNOT USE IT INSTANTLY. We didn’t use water for a coffee as it loses the taste of coffee. PROCEDURE FOR IT: Take a required milk in the cup. : Take an empty mug near to gas. : Now pour the milk in the pot, keep the pot on the gas. : Start the gas, add sugar to it & stir it well. : Boil the milk with sugar for a short time. : Now pour this milk slowly in the mug where we have inserted coffee. : Stir it with the spoon . VERY NICE FEELING AFTER DRINKING IT & ALWAYS REMOVES TIREDNESS OF YOUR WORK QUICKLY. Sold by Cloudtail India (4.0 out of 5 | 88,018 ratings) and Fulfilled by Amazon. Gift-wrap available. – fabricated on both sides of stainless steel. 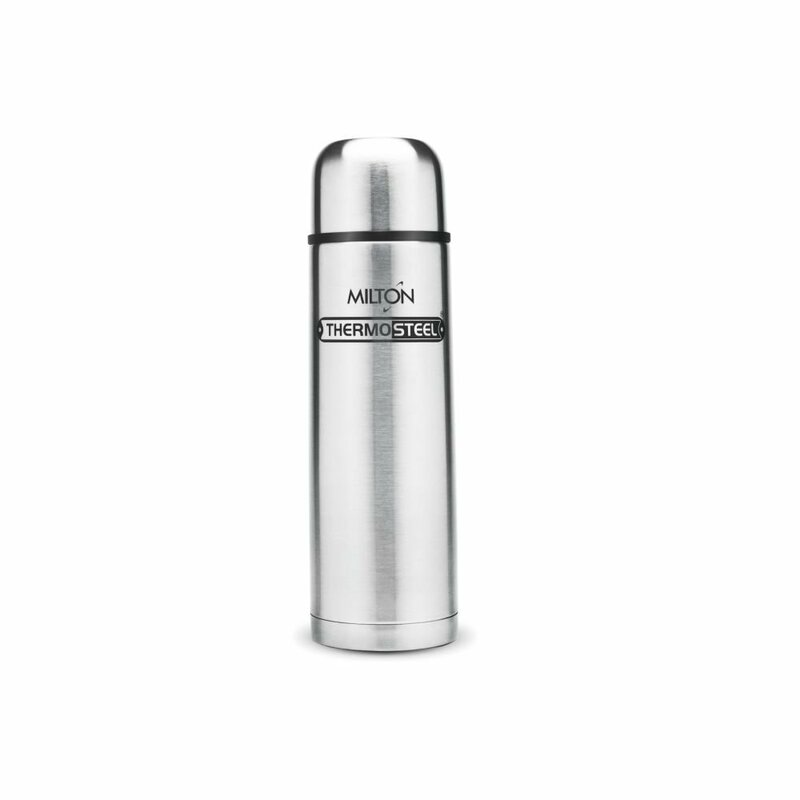 – keeps the liquid at its temperature for over 15 hours.